When you need to have papers served to someone, you want to make sure that they are going to be served properly. Failure to serve papers, or delivering them incorrectly, can greatly hinder your court case. 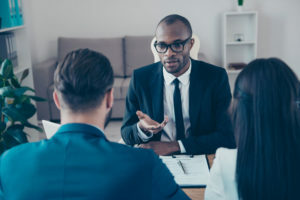 Before hiring a process server in Port St. Lucie, ask these questions to make sure you’re hiring the right person for the job. No process server can 100 percent guarantee that they will be able to serve papers successfully. There are no guarantees when it comes to serving process. The higher the success rate of the process server, the more likely it will be that they will be able to handle your case appropriately. Don’t expect a 100 percent success rate, but it should be fairly high regardless. Do you know for sure when your defendant will be at home or work? Sometimes the quickest way to get papers served is to have a process server willing to work with the schedule you are aware of, so they can catch the defendant at home or their place of employment. Not all process servers operate outside of business hours, so make sure your Florida process server is willing to do so to accommodate specific time or date requests. How Many Times Will You Attempt Service? A good process server will make several attempts to serve the papers. If they are unsuccessful, they will do some research to try to find where the defendant has moved to, where they work, or other locations that they might be able to serve process. Successful process servers will make many attempts and do quite a bit of research before giving up. If you have papers you need served, contact a professional and experienced process server in Port St. Lucie today for more information about our services.